Nitric Oxide supplements are very popular, and have been shown to provide an energy boost for extended and intense workouts. Here is an overview of these types of supplements and a few good recommended products. Nitric Oxide is a gas that’s naturally produced in the body, but many people choose to increase how much is available in the body, to improve a whole host of physiological (body-wide) and pathological (cell-wide) processes. We’ll discuss many of the great benefits that Nitric Oxide can have for both avid gym goers and “regular joe’s,” and take a closer look at some of our favorite Nitric Oxide supplements. On top of all of those, there is a whole host of benefits that Nitric Oxide provides, in terms of increasing athletic performance and endurance. At one point, it was hailed as the next great breakthrough in (legal) performance-enhancing supplements, because of how dramatically it can improve a person’s ability to train and recover. One of the great benefits of Nitric Oxide is that you’re going to be able to perform harder and longer in the gym than you otherwise might be accustomed to. When anyone works out, they’re able to do so until fatigue sets in. That feeling of fatigue when the body — and your muscles — starts to run out of oxygen; that’s why we start to breath harder and heavier as we work out as well. That oxygen deprivation also leads to the build-up of lactic acid in your muscles, which gives you that “burning” feeling that prevents you from cranking out more time and/or more reps on whatever you’re doing. Nitric Oxide is all about helping you get more oxygen to your muscles, thereby prolonging the time before you really start to feel tired, and reducing the amount of lactic acid build-up, which also allows you to prolong your workout. In addition to improving your exercise performance by making oxygen more available and diminishing the production of lactic acid, Nitric Oxide also improves how your body utilizes its natural energy supply when you’re working out. For instance, during a workout, your body temperature begins to rise as a result of your heart rate increasing. As a response, your body will naturally begin to cool itself down — that’s why we sweat — in order to prevent itself from overheating. But because Nitric Oxide allows for blood to flow through the system easier and faster, your heart doesn’t have to work quite as hard to get the blood and oxygen where it needs to go, so your body actually devotes less energy to trying to cool itself down, thereby making this energy more available for your workout. In addition, a study conducted by the American Journal of Endocrinology and Metabolism monitored glucose metabolism — in other words: how your body uses stored carbohydrates during exercise — in a set of endurance athletes. They found that those who had taken Nitric Oxide supplements had a significantly higher rate of glucose appearance and disappearance, meaning their bodies not only began to empty the athlete’s energy reserves but then directly used that stored energy to fuel the workout. This might actually be something of a double-edged sword for a “regular” person looking to improve their performance in the gym, because Nitric Oxide does such a great job of using muscle glycogen (the body’s stored energy reserves); that means that it’ll only use up stored fat as fuel for exercise as a secondary source. However, that also means that using Nitric Oxide allows the body to burn through stored energy reserves at a faster rate, meaning it’ll then allow the body to reach stored fat reserves at a faster rate, once it’s emptied its glycogen tank. The improved recovery process through Nitric Oxide supplementation first starts with the “muscle pump” you’ll feel after a workout (especially a resistance-based one). That feeling comes from the increased blood flow you’re getting to your muscles, because Nitric Oxide actually causes your muscles to relax, improving the circulation of blood in and out of the muscles; think of it like opening up more lanes on a busy highway, allowing traffic to flow faster and better. That improved blood flow increases the amount of oxygen and nutrients that are able to be utilized by the muscles to repair themselves and recover. Since the concept of exercising is essentially based on introducing stress to your body, to help it tolerate and adapt to that level of stress, we need that time for the body to rest from the last stress (exercise session) and prime the muscles to tolerate that level of stress in the future. The improved flow of blood, oxygen, and nutrients in your body can help reduce that rest and recovery time needed between workouts, allows you to have more frequent exercise sessions, which can result in better results. PRE WORKOUT IN TWO STAGES: The world's first two-stage natural pre workout energy drink for men and women; steady delivery of ingredients to power you through workouts and competitive events. TESTED AND TRUSTED: Third-party tested pre workout supplement with exclusively premium ingredients. No banned substances; can be used for bodybuilding or any athletic event. 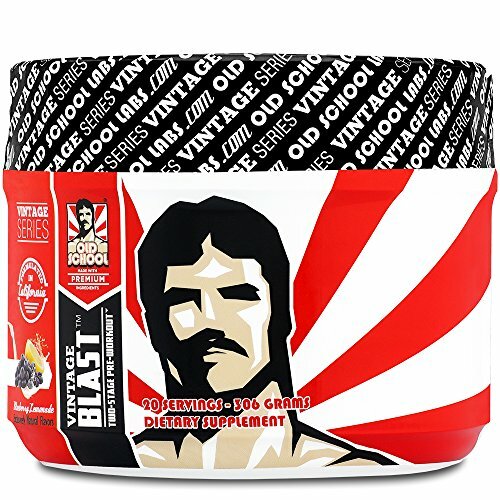 Vintage Blast by Old School Labs is a two-staged pre-workout energy booster that’s designed to elevate nitric oxide levels, in order to deliver sustained energy, strength, endurance, and pumps for the entire duration of your workout. That’s where their products differ from the other because while other products also help boost pre-workout nitric oxide levels, the effects begin to taper off through the course of a workout, diminishing the impact that the supplement has in the first place. Vintage Blast’s dual-staged system is designed to capitalize on the different digestive and uptake properties of the ingredients it uses, to provide a steady and reliable performance boost for the entire duration of your workout. 100% ORGANIC: BeetVO2Max beets are ORGANIC and grown in optimum conditions assuring only the best all natural concentrated beetroot powder extract available. There’s a growing school of thought that beet root (the juice made out of it) could be another superfood, because it’s a natural source of nitric oxide production. Along those lines, DoctorCare Plus created a powder from beet root, stating that powders are an efficient delivery system designed for maximum bioavailability of a whole raw food. Each jar of BeetVO2Max organic beetroot juice powder has 15 pounds worth of fresh beets in it, giving you the maximum nitric oxide boost from the beets, as well as all the other nutrients they contain, like magnesium, phosphorus, vitamin C, iron, vitamin B6, and vitamin B12. 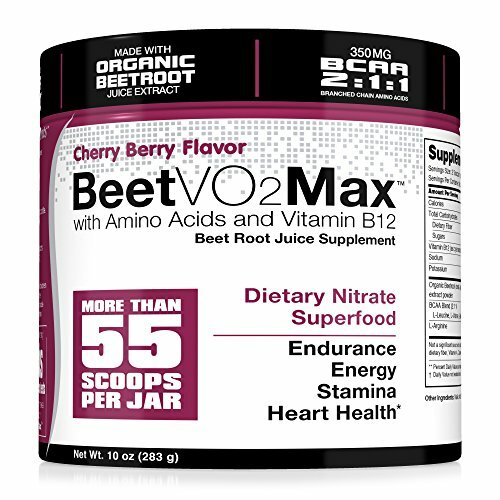 The beets used in BeetVO2Max are 100% organic, as the company promises that the beets are grown in optimum conditions, with only the best all-natural beets used when creating the powder. Bio-Engineered Supplements and Nutrition (BSN) is one of the most reputable names in sports and exercise nutrition, with over 40 sports nutrition awards. 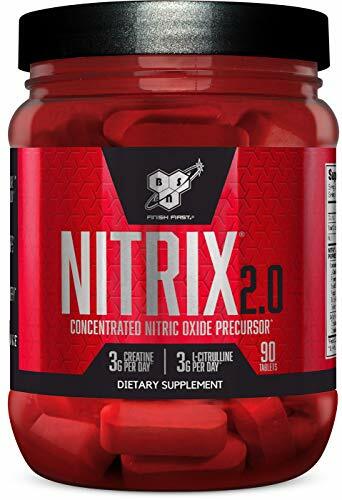 Their NITRIX 2.0 product is both a nitric oxide precursor — which helps your body to increase its production of nitric oxide — as well as a foundational solution that helps enhance all your other training and supplements. The product primes your body to create more nitric oxide by providing it with two amino acids — L-arginine and three grams of the amino acid L-citrulline — and then further boosts the energy and pump you get while working out throw the three additional grams of creatine, which has been shown help your muscles produce energy during heavy lifting or high-intensity exercise. Growing up, we all remember mom telling us to eat our vegetables, if we wanted to grow up and become strong and healthy. While we’re not 100% sure if she followed her own advice, we know that it was still true. That’s why we recommend going with the substance that’s made from pure, organic sources that come straight from the Earth: BeetVO2Max. Why not go with a supplement that you only need to take once a day, has shown a natural ability to increase nitric oxide levels in the body, and provides you with a whole host of other vitamins and minerals along the way? We know the odd mixing procedure, and multi-colored “leavings” in the bathroom might seem like a deterrent, but we still think that the product is the best and safest way to get the benefits of nitric oxide supplementation.